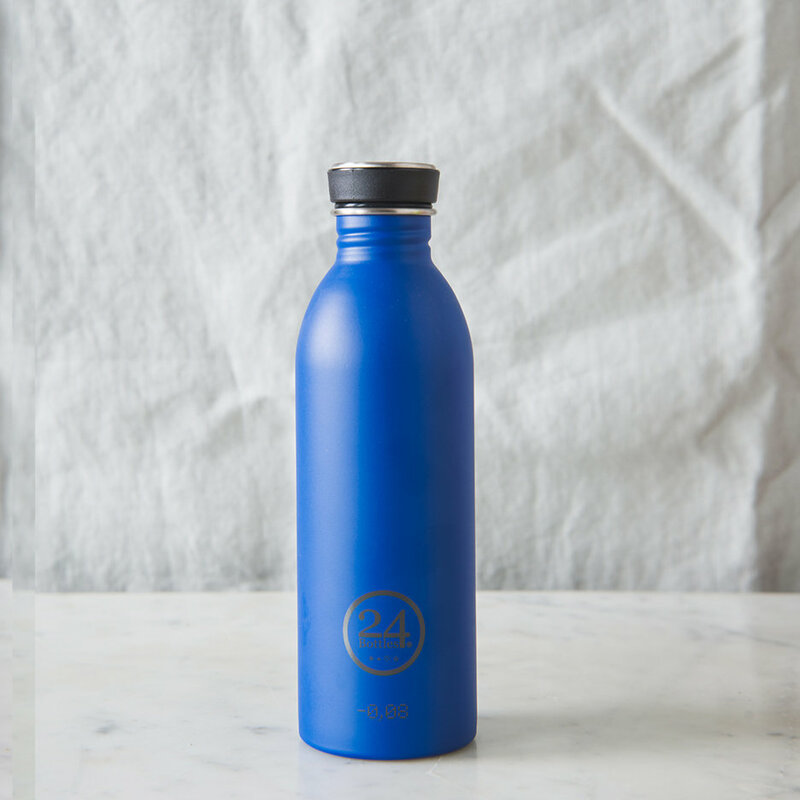 The classic bike canteen restyled and designed in Italy to give it a modern edge. 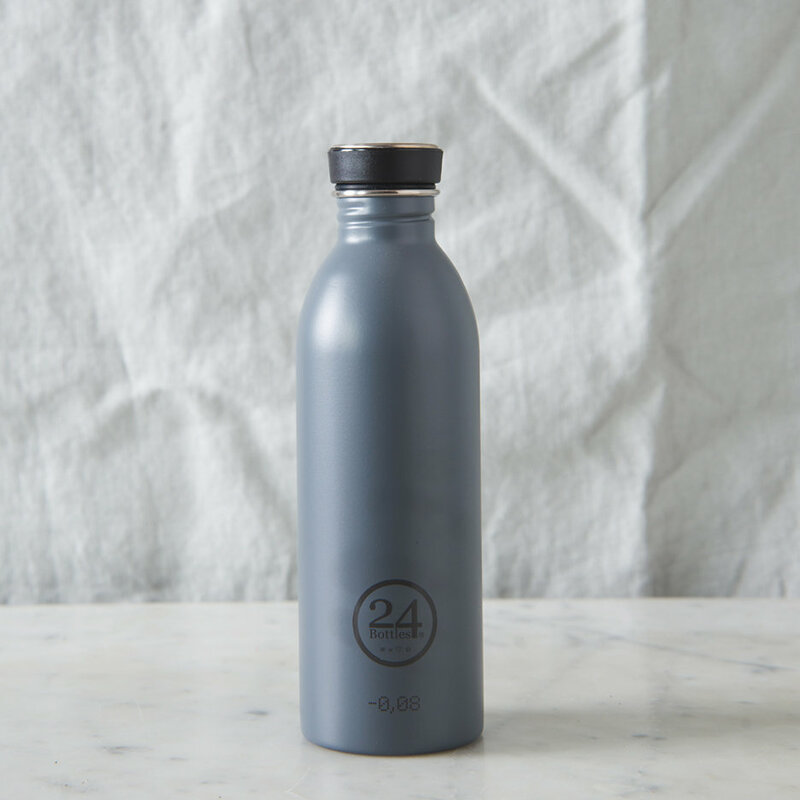 The Urban Bottle combines form and function with its slender silhouette to offer a uniquely lightweight and handy bottle, made from the highest quality 18/8 food grade stainless steel. 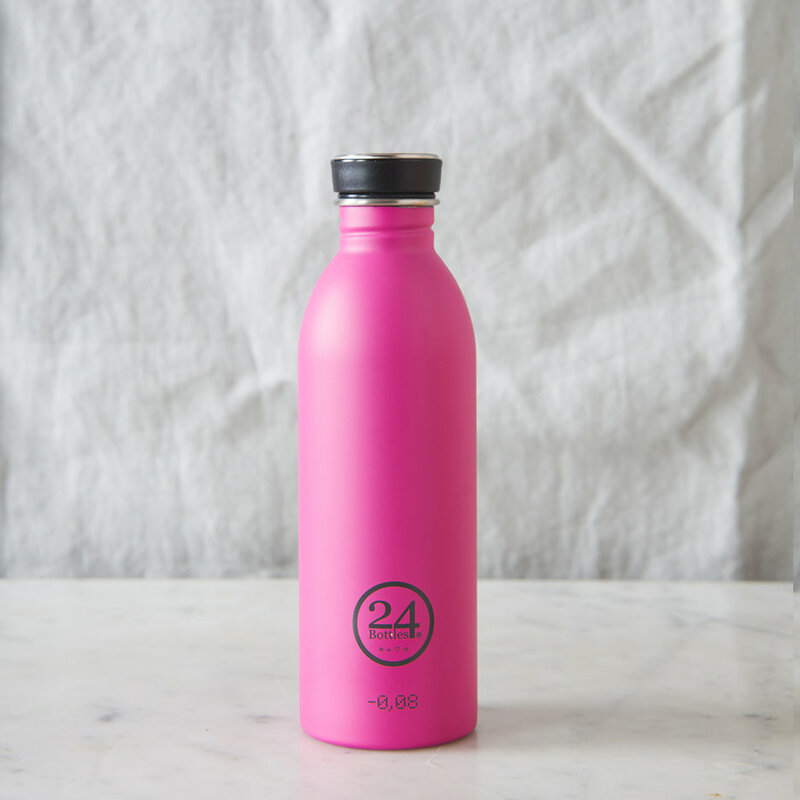 A simple, classic and sustainable solution to stop you relying on disposable water bottles, perfect for school bags and lunchboxes too. Drink in style whilst helping the planet! The hardest decision is which fab colour to choose. 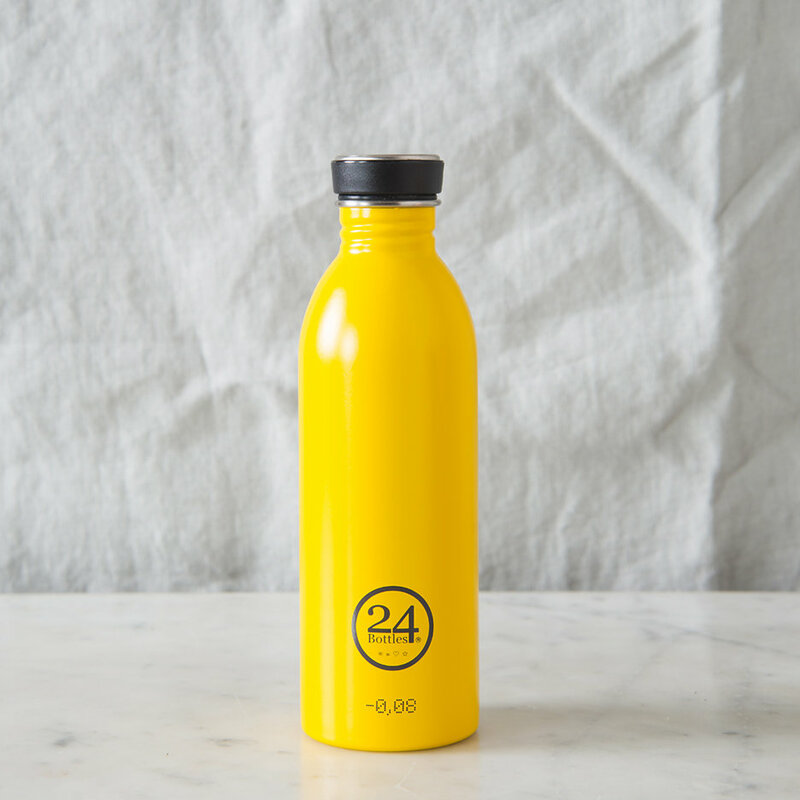 -0.08 the number printed on the 500ml bottle is the quantity of CO2 you save from releasing into the atmosphere every time you choose to drink from your urban bottle instead of buying a disposable water bottle. 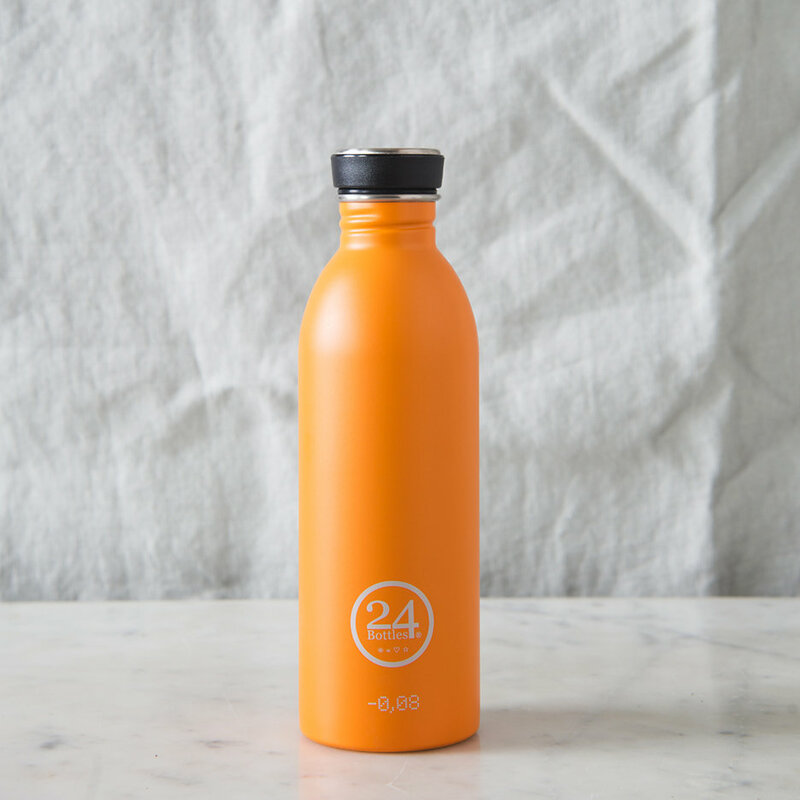 24Bottles are carbon zero. Clean using using soapy water and a bottle brush. Not dishwasher proof. 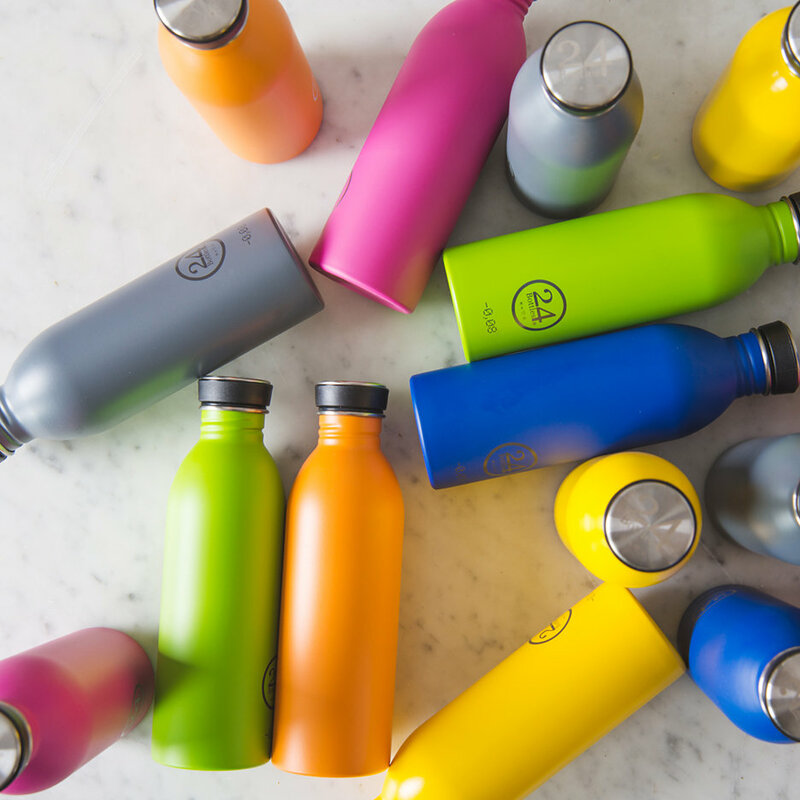 Not insulated, suitable for cold drinks, ‘ice-wide’ top for easy filling and cleaning and a leak proof lid.